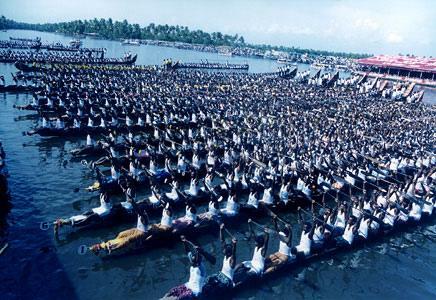 The Nehru Trophy Boat Race is a popular Vallam Kali held in the Punnamada Lake near Alappuzha, Kerala, India. Vallam Kali or Vallamkali literally means boat play/game, but can be translated to boat race in English. The most popular event of the race is the competition of Chundan Vallams (snake boats). Hence the race is also known as Snake Boat Race in English. Other categories of boats which participate in various events of the race are Churulan Vallam, Iruttukuthy Vallam, Odi Vallam, Veppu Vallam (Vaipu Vallam), Vadakkanody Vallam and Kochu Vallam. The Nehru Trophy Boat Race is a popular Vallam Kali held in the Punnamada Lake near Alappuzha, Kerala, India. Vallam Kali or Vallamkali literally means boat play/game, but can be translated to boat race in English. The most popular event of the race is the competition of Chundan Vallams (snake boats). Hence the race is also known as Snake Boat Race in English. Other categories of boats which participate in various events of the race are Churulan Vallam, Iruttukuthy Vallam, Odi Vallam, Veppu Vallam (Vaipu Vallam), Vadakkanody Vallam and Kochu Vallam. The Nehru Trophy Valam kali is conducted on the second saturday of August every year and is a famous landmark. The Nehru trophy boat race is steeped in the history of Kerala. Kerala was at one time and a land split into many small fiefdoms,ruled by Kings. There were often skirmishes took place between these neighboring states and the war was often settled in the backwaters and canals that made up a major chunk of Kerala at that time. One of the more enterprising of these warrior Kings built himself a superior canoe to give him the edge over his adversaries in the river battles and that was the advent of the snake boat – so the legend goes. Over time, each village had their own snake boat or ‘chundans’ as they are called locally. As time passed on, the wars were settled and Kerala became one state.The snake boats were now plied for the more entertaining use in Snake boat races competition. The first prime minister of India, Pandit Jawahar Lal Nehru visited Kerala in 1952 and was taken to see a snake boat race competetion in the picturesque Alappuzha Backwaters. Enthralled by what he witnessed, he immediately donated a trophy and hence forth, the event came to be known as the Nehru Trophy boat race. The monsoon heralds the beginning of the boat race season. The first of these race is the Champakulam boat race held usually in the first week of July. 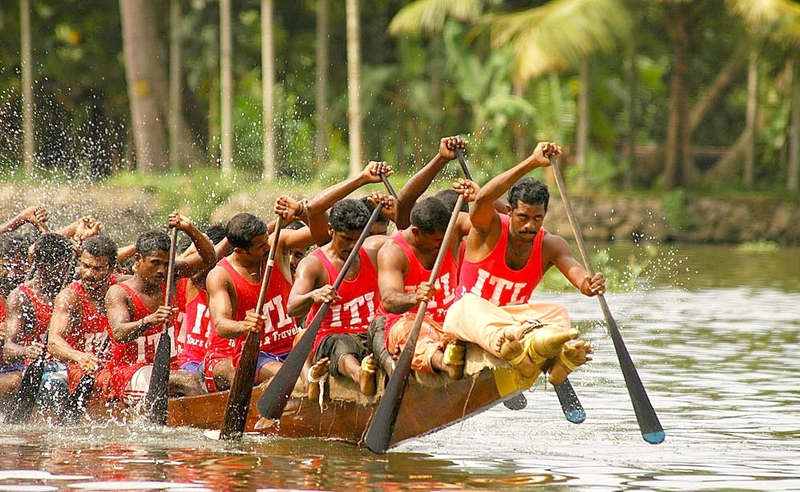 Other notable boat races are the Payippad, Pulinkunnu and Kayamkulam races along with races at other venues. The Aranmula race is noteworthy as it is steeped in religion. Boat race seasons ends in September. The most important and eagerly awaited race is of course the ‘Nehru Trophy Boat Race’. essay writerscheap custom writing serviceedit my essayadmission writing serviceThere are many other types of high school and college essay writing services that we offer. They are all a little different based on their purpose and requirements. Some other kinds of term papers include comparative and critical essays. Less formal types might include descriptive or reflective essay formats. Each essay type might have a different audience or style. Knowing the little differences is often the key to success and something our writers are well-versed in with essay writing service. high-quality unique text, that is written using only professional vocabulary; informative, clear and logical structure; the research process is based on the authentic resources.